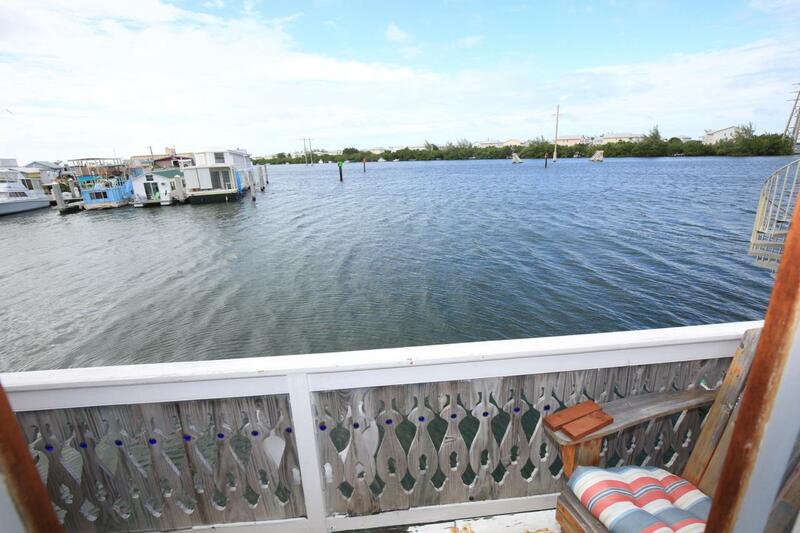 2BD/1BA Custom Built Floating Home & (22' X 60') liveaboard leasehold Boat Slip with unobstructed WATER VIEWS. Located in the City of Key West, Garrison Bight Marina, within walking & biking distance to all the main attractions. This 1400 sqft liveaboard features include; a roomy salon with open water views, fully appointed galley, full size fridge, propane stove and custom wood work & furnishings. Slip fee $548.72/mo., includes pump out, electric and water hook ups, newly constructed floating dock, off street parking for 2 vehicles, sewage, and patrolled security. Don't forget your Fishing Boat. Dock your small vessel at no additional charge. Recent Marine Survey available. Motivated Seller! Cash only, no financing available.